A little over 24 hours ago, we covered the latest piece of transfer speculation relating to the jewel-in-our-crown, Eden Hazard. Our article Click Here, covered the insinuation from the Spanish media that a deal was set to be confirmed that would see Eden move to the Bernabeu, something we’ve feared all season. The latest piece of transfer speculation adds credence to the mounting speculation that the Belgian international is set for pastures new. According to the news source, the Independent Chelsea are holding out for a transfer fee of £100 million for the one player in our side who is capable, in a split-second, of turning a game on its head. Our view, here at Vital Chelsea, is that Chelsea should be looking for a higher price. 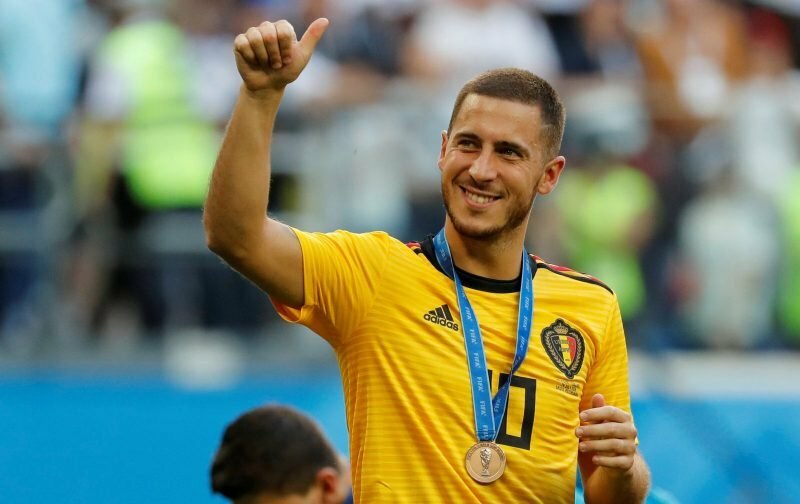 Although Real Madrid perceive Hazard as a key cog in their summer rebuilding plans and are aware that the player only has one more season left on his contract, Chelsea need to financially compensate for the loss of Hazard, even more so with expenditure on new players so kindly placed on hold, by FIFA, until the summer of 2020. Personally, I’d suggest that Eden is worth circa £125 million, but what figure would you put on the head of a player who has the ability to illuminate a game?